Bookmark manager software saves and organizes web content and websites so users can refer to it later. Bookmark managers will either work alongside, or inside of, a web browser, allowing users to save web content and return to it later without opening another application. Often, bookmarks are also presented at the forefront of the browser to ensure saved content isn’t forgotten or misplaced. Professionals from all backgrounds use bookmark managers to save and store content, putting it at their fingertips when they need it. Some bookmark managers are intended for specific browsers, but many will either offer browser-specific extensions or are completely browser agnostic. Bookmark Manager reviews by real, verified users. Find unbiased ratings on user satisfaction, features, and price based on the most reviews available anywhere. start.me offers a web-based personal start page with an integrated bookmarks manager. Pocket is an application that allows users to save and retrieve documents and videos from websites. netroStation is a visual bookmark manager to save & organize hundreds of links. Diigo is a bookmarking tool. It allows you to manage information through highlighting, sticky notes, or tags. Bookmarks can be password protected for user security. GGather is a bookmark manager with just the right mix of features and the most intuitive user experience. A cloud based service to curate and share your bookmarks. Dropmark enables users to share links, files, and notes; organize them into collections;and manage the audience visibility for them. Mojave is primarily a bookmarking tool that helps to save, retrieve, and share bookmarks on the desktop browser. Toby surfaces key resources from every tool onto every new tab page. Hypershoot is a bookmarking tool for designers. Tagpacker is a free tool to save, organize, and share your favourite links. TeamSync Bookmarks enables users to share and manage bookmarks across a team or friends in real-time. Share, manage, and sync anything with a URL in group folders that you create. Then, invite friends, family, coworkers, or teammates to your shared bookmark. How can you use TeamSync Bookmarks? Here is how some people are using it * Onboard new team members so they have immediate access to the most important online websites and tools * Keep team members current with new tools and sites by immediately sharing it with them in their browser * Plan trips and events with friends and family Pricing - https://teamsyncbookmarks.com/#pricing Firefox version: https://addons.mozilla.org/en-US/firefox/addon/teamsync-bookmarks/ Slack integration: https://teamsyncbookmarks.com/#integrations (Beta) Features -- Have multiple group folders that you can share with different friends and team members -- Turn on an admin capability so you are the only one who can add or delete bookmarks -- Password protect your bookmark folders -- Easily add friends and team members to shared bookmark folders This is a great tool for on-boarding new team members, sharing frequently-used research websites, and ensuring team-wide awareness of online tools and research sources. TeamSync Bookmarks is actively being developed. Learn more about the extension at teamsyncbookmarks.com. 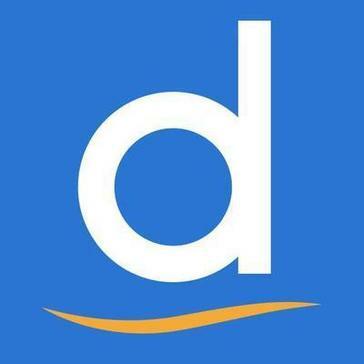 Delicious is a social bookmarking service. Linkman is a bookmark manager that efficiently organizes large numbers of bookmarks. Linkman directly integrates with Google Chrome, Firefox, Internet Explorer, Opera browsers, and supports many other browsers. Markme is a site where it is easy to create bookmarks that are stored online to a profile. People are able to easily follow your links, while interacting with them in many ways. Browser extensions lets you save images, text, videos and webpages with one click. Easily drag and drop bookmarks from the category to a another category or sub category. Myfavs features a special viewer (and reader for articles) that allows you to have seamless experience. TokCloud keeps your links, pages and bookmarks, organized and searchable so you can easily access anything, anywhere and from any device. Hi there! Can I help you find the best Bookmark Manager solutions?